A judge blocked oil and gas drilling across nearly 500 square miles in Wyoming and said the US government must consider climate change impacts more broadly as it leases huge swaths of public land for energy exploration. U.S. District Judge Rudolph Contreras ruled that officials from the Interior's Bureau of Land and Management (BLM) should have considered climate change risks such as greenhouse gas emissions linked to the drilling before making the decision. In his ruling (pdf), Contreras ordered the Interior Department's Bureau of Land Management (BLM) to redo its analysis of hundreds of drilling projects in Wyoming to account for their potential climate impacts. "Every acre of our public land sold to the oil and gas industry is another blow to the climate, making this ruling a powerful reality check on the Trump administration and a potent tool for reining in climate pollution". 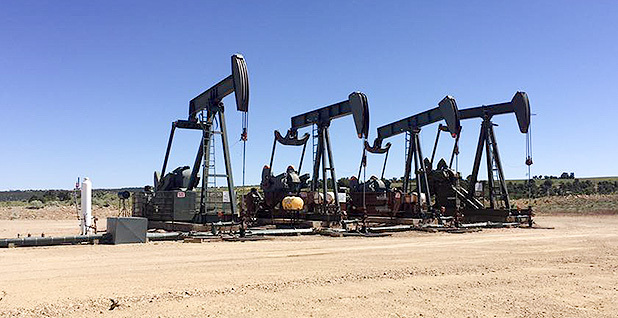 The Contreras ruling came due to a lawsuit that challenged leases issued in Wyoming, Utah and Colorado in 2015 and 2016, during President Obama's administration, Kallanish Energy reports. NEPA reviews associated with the sales will be sent back to BLM, but Contreras declined to vacate the leases. Since greenhouse gas emissions are driving climate change, the judge wrote, these analyses did not provide policymakers and the public with a sufficient understanding of drilling's impact, as required under the National Environmental Policy Act. Last night's ruling has "broad ramifications" for BLM's approach to analyzing cumulative emissions, said Kyle Tisdel, director of WELC's climate and energy program. "We will be exploring options and following up with our state, federal, and industry partners", Gordon said, according to The Washington Post. BLM spokeswoman Kristen Lenhardt said the agency was still reviewing the ruling and "determining a path forward regarding the implications". "To limit greenhouse gas emissions, we have to start keeping our fossil fuels in the ground and putting an end to selling public lands for fracking", added Nichols. In a draft analysis past year of its plan to freeze fuel efficiency standards for cars and light trucks, the National Highway Traffic Safety Administration projected that if the US continued on its current path the globe could warm by 7 degrees Fahrenheit by the end of the century and suggested that this trend illustrated why curbing carbon emissions would make little difference to the planet. Companies paid more than $6.5 billion to produce oil, gas and coal from federal lands and waters in 2017, according to the most recent government figures. Western Energy Alliance president Kathleen Sgamma, whose group is one of the defendants in the case, said in a phone interview that she was confident the ruling could be overturned on appeal.